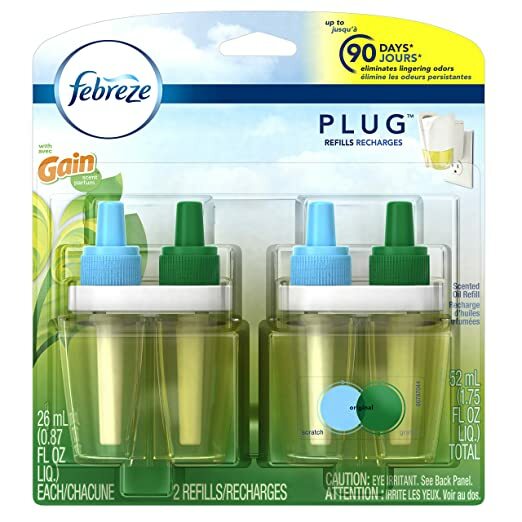 These fresheners come as warmer kits that have to be plugged into an outlet in order to begin releasing continuous and fragrance and eliminate the stubborn odors. These warmer kits have to be used together with their respective fragrance bottles that are usually sold separately. These bottles have to be refilled continuously.Most of them contain luxurious fragrances that are infused with essential oils. To install properly, you have to insert the warmer in an upright position into an outlet. Most of these warmers can be rotated, if needed in order to fit in an outlet. Once the warmer is inserted, you should adjust the settings to what fits your preffered level. In addition, there are some designs that are battery operated. These are usually portable and able to add fresh fragrance at any location. Here are some of the warmer kits and their respective fragrance refills sold separately. This Air wick warmer comes in a white sleek design that matches most of the home decor. It features a rotating plug that fits in both vertical and horizontal outlets. This plug uses a single wall outlet only. It is easy to use and replace the refills. It diffuses wonderful scents continuously throughout the home. 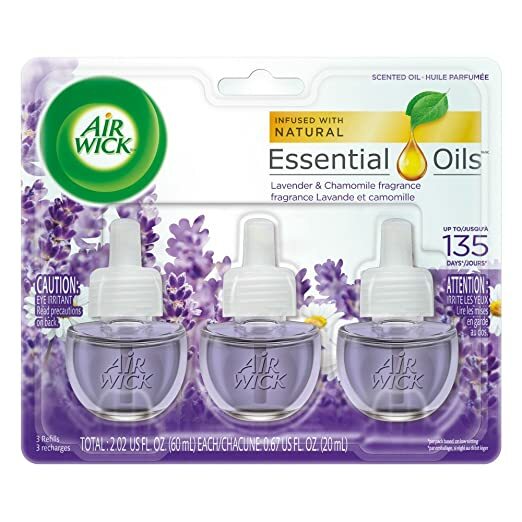 It comes with 3 settings that allow you to regulate the intensity of the fragrance to your desired level. This warmer should be used with Airwick refills shown below. 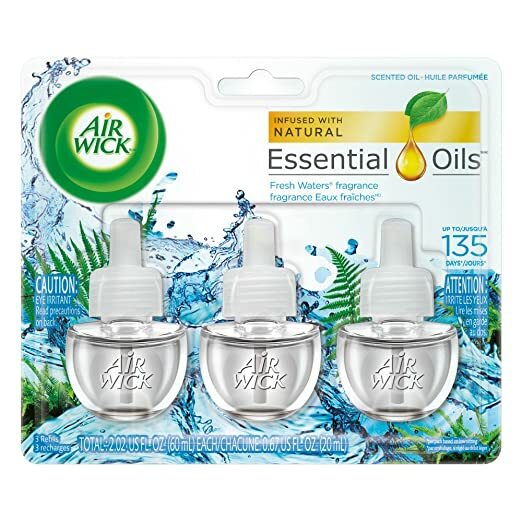 These airwick refills come in a variety of fragrances such as lavender, Chamomile, exotic Papaya and Hibiscus. 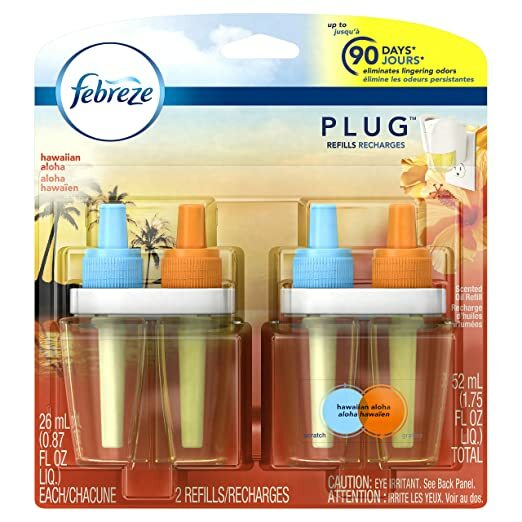 This Febreze warmer is fitted with dual chambers that automatically alternate 2 complementary scents. The plug comes in a solid design and has both high and low settings in order to adjust the intensity of the scent. Where low setting are used, the rooms are able to remain smelling fresh for 30 days. The plug usually rotates to fit any outlet. It is easy to assemble. This warmer has to be used with Febreze Noticeables refills available in different fresh scents such as Lavender, Linen and Sky, among others. 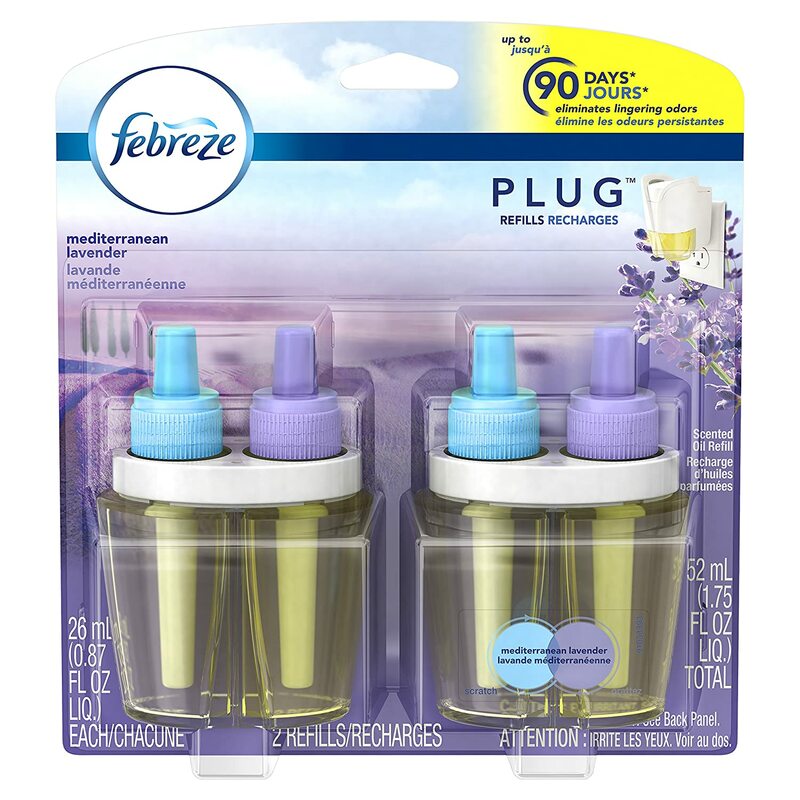 The refills come in two bottles to be used together. See some below. 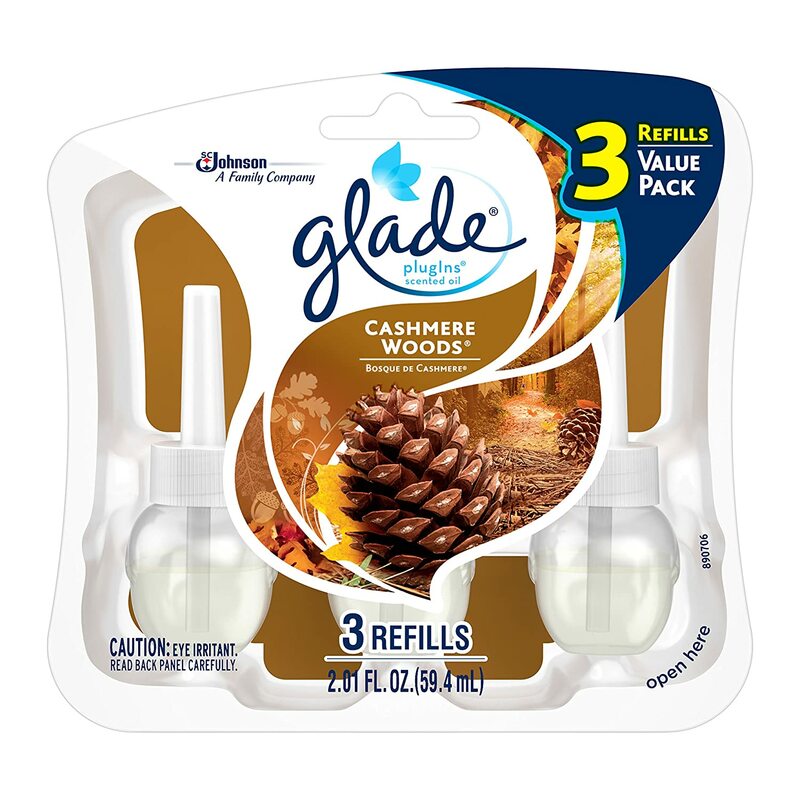 This Glade scented warmer comes with adjustable settings that will meet your need. It is designed to hold one refill at a time. It is easy to rotate the plug so that it can fit in any outlet. It comes in a design that is ideal for most homes. 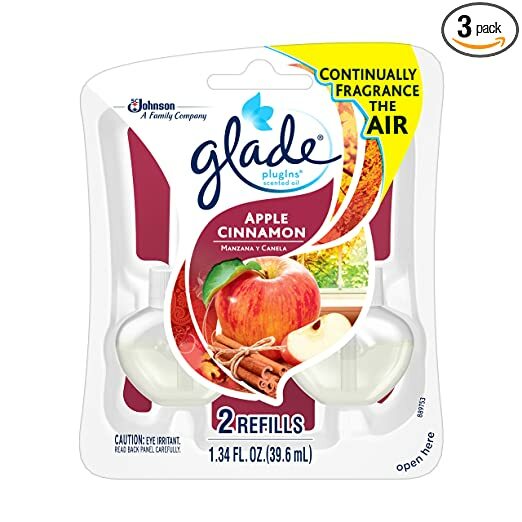 This plugin has to be used with Glade refills that come with scents such as those of clean linen, Cinnamon, Nutmeg and Apple in order to fill your home with refreshing, warm, subtle scents that offer genuine comfort and warmth. Your home will be filled with freshness. This automatic spray starter kit comes in a decorative, portable and etched design that complements most home decor. It is battery-operated and able to add fragrance at any area. 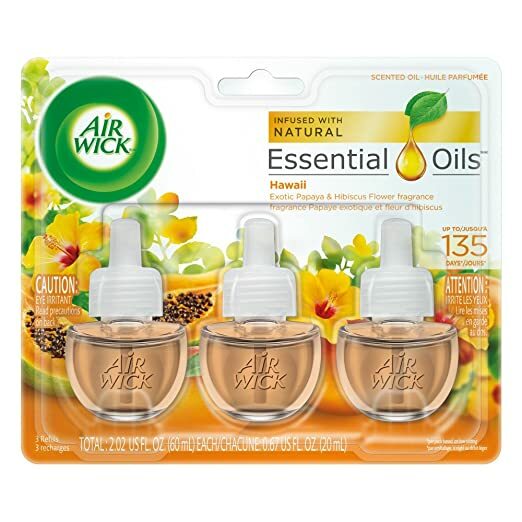 It comes with 3 time settings to adjust how frequent you want your fragrance. The settings are 9, 18, and 36 minutes between sprays. The kit has to be placed on a flat and even surface. It comes with a boost button at the back that you can press for an extra puff of fragrance when you need it. It is easy to refill. This pack comes with 1 automatic spray unit, 2 AA batteries and 1 spray refill.